This recipe in Nom Nom! 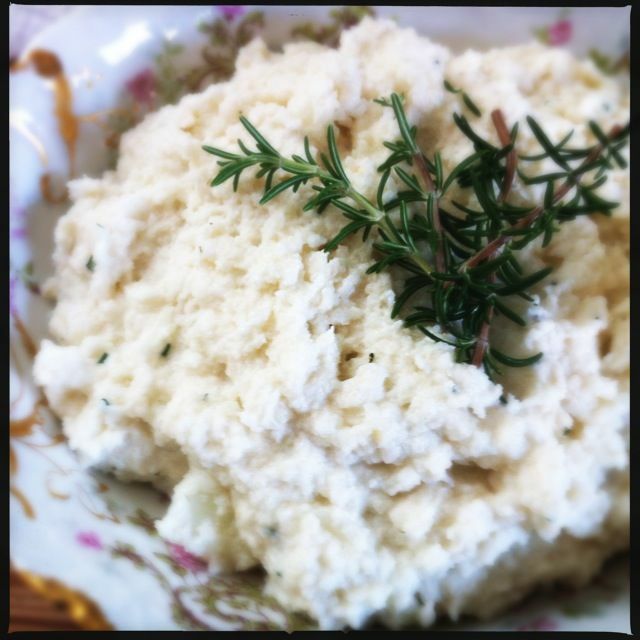 Have you ever tried substituting mashed potatoes with cauliflower? The results are delicious. I think I first discovered this idea when I tried the South Beach diet once. However add some macadamia nut butter and rosemary to the dish, and this little recipe rocks! I originally stumbled across this recipe in the Get Naked Fast cookbook by Diane Stabos. Which by the way, is a must buy if you’d like to move toward a vegan diet. Steam Cauliflower in hot water for 3-5 minutes. Blend in food processor until grainy — but don’t over process until it’s liquidy. Add into the food processor the macadamia butter, rosemary, olive oil and salt. Process until fluffy. Looks yummy but I don’t know I think I’d miss the real potatoes.